The 2016 plans for Trump Tower Moscow 2016 included giving Russian President Vladimir Putin a $50 million penthouse. Donald Trump’s failed 2016 scheme to open a Trump Tower in Moscow is at the center of a charge unveiled Thursday against the president's former personal attorney Michael Cohen. In court this morning, Cohen pleaded guilty to making false statements to Congress in 2017. He said negotiations over a Moscow Trump Tower project ended in January 2016. We now know that these talks, which included Trump himself, went on until June 2016. That's just one month before the RNC convention nominated Trump as the Republican presidential candidate. The Trump Organization planned to present as a gift to Russian President Vladimir Putin a $50 million penthouse at Trump Tower Moscow. Trump's real estate firm negotiated the deal concurrent with Trump's 2016 presidential campaign. Mr. Trump said Thursday that Mr. Cohen is lying. And he noted that no deal ever happened, but if it had, it would not have been an issue because he was still operating as a private businessman. The White House declined to comment. The Moscow project marked the culmination of 30 years of interest by Mr. Trump in establishing a foothold in Russia and nearby Ukraine. The push involved more than 20 separate developments. Though ultimately none came to fruition, one advanced far enough to leave a giant hole, eight stories down in the ground before being abandoned. The proposed plans for the 2016 project included giving Russian President Vladimir Putin a $50 million penthouse, long-time Trump associate Felix Sater said in an interview. Mr. Cohen loved the idea, Mr. Sater said. The Trump Tower Moscow plan is at the heart of a new plea agreement by Cohen, who led the negotiations to bring a gleaming, 100-story building to the Russian capital. Cohen acknowledged in court that he had lied to Congress about the plan in order to protect Trump and his presidential campaign. The revelation that representatives of the Trump Organization planned to forge direct financial links with the leader of a hostile nation at the height of the campaign raises fresh questions about President Trump's relationship with the Kremlin. The plan never went anywhere because the tower deal ultimately fizzled, and it is not clear whether Trump knew of the intention to give away the penthouse. But Cohen said in court documents that he regularly briefed Trump and his family on the Moscow negotiations. 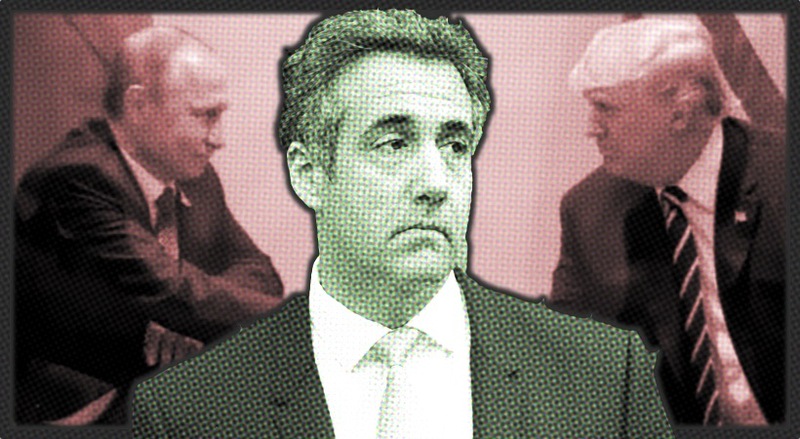 BuzzFeed News first reported in May on the secret dealings of Cohen and his business associate Felix Sater with political and business figures in Moscow. The two men worked furiously behind the scenes into the summer of 2016 to get the Moscow deal finished — despite public claims that the development was canned in January, before Trump won the Republican nomination. Sater told BuzzFeed News today that he and Cohen thought giving the Trump Tower’s most luxurious apartment, a $50 million penthouse, to Putin would entice other wealthy buyers to purchase their own. “In Russia, the oligarchs would bend over backwards to live in the same building as Vladimir Putin,” Sater told BuzzFeed News. “My idea was to give a $50 million penthouse to Putin and charge $250 million more for the rest of the units. All the oligarchs would line up to live in the same building as Putin.” A second source confirmed the plan. Trump AG Barr says they’ll release a redacted version of Mueller’s report Thursday.